TD Bank Group has entered a long-term lease for 33 floors totalling 840,000 square feet in Toronto’s 160 Front Street West, according to Cadillac Fairview and the Investment Management Corporation of Ontario. “We are pleased to announce that 160 Front Street West is now 100 per cent leased. Closing out our leasing efforts with our long-standing partner, TD, is a significant occasion for our two companies,” Cadillac Fairview Wayne Barwise said. “As part of the transaction, which remains subject to customary closing procedures, TD will take part ownership in the building. 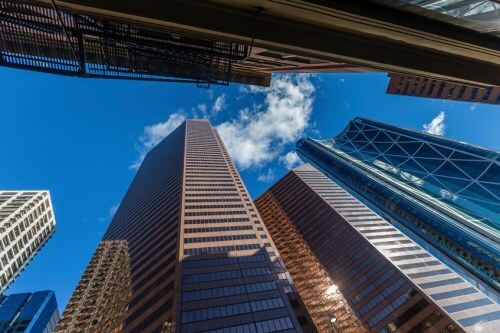 For TD, the investment is a strategic decision that reflects the bank’s strong balance sheet as well as the long-term outlook for corporate real estate in the downtown core,” the announcement stated. In cooperation with developer Cadillac Fairview, TD will be wielding significant influence in the design and construction of the leased area’s interior workspaces and employee environments.